Apologies for missing the last two Tech at Nights. But unlike the paid staff of the well-funded Free Press, every word I’ve ever written here on technical issues has been on my own time, for free, because I care about the issues. And when work overwhelms me, as it did last week as a huge deadline approached, something had to give. And what gave was what I had to do at night when I just wanted to sleep. So we start tonight with an update on the Waxman Net Neutrality bill. I wrote of it before in support of it, and proved prophetic as Henry Waxman used Republican opposition to justify radical, illegal FCC action on the issue. It’s not too late, though. We can still build momentum to stop the FCC’s end run around the Congress, the Courts, and the Constitution. We need to talk up the Waxman bill because it is more limited than any other major proposal we’ve dealt with during this debate, because it would strictly, expressly forbid the FCC from doing the disastrous Title II reclassification which would give the FCC broad powers, and it’s just possible that the Congress taking the baton on this would encourage the FCC to back down until the process runs its course. Politics matters, and there’s going to be a lame duck session. We can judo the Democrats on this, and use their bill in a bipartisan way to get the Congress behind a clear majority of the nation against massive Internet regulation. But we have to step up to the plate, ignore the Waxman name, and use the decent language of his proposal to make it happen. It’s time to put country first. Especially when it gives even Barack Obama an out from a divisive issue, even as it gives American an out from regulation potentially more devastating to our economy than Obamacare, if it chokes off the Internet, one of our high growth, high potential areas. Hello. The longer the Democrats are in Washington, the more the mask slips with respect to their true beliefs regarding freedom online. They claim they don’t want a government takeover, they claim they don’t want to regulate content, they claim they don’t want a kill switch, they claim they want to respect privacy, but time and again all of these issues just keep coming up. Witness the new disaster coming out of the White House which would force private firms like Facebook, Skype, and RIM to assist the government with spying on you. They are to cripple, deliberately, any safeguards they have on your privacy to make it easier for government snoops. Remember: already nothing prevents them from listening in on the Internet. What they are demanding now is a huge expansion of power to require encryption in America to be crippled for the benefit of domestic Internet spies. Or at least, that’s the phrasing the left used throughout the Bush administration, so I’m going to throw it back in their disingenuous faces every single chance I get. Good evening. 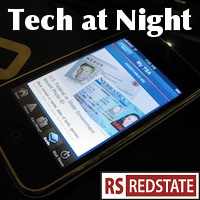 Welcome to the special, totally planned, and not at all a fallback because I wore out after a week of catching up after the RS Gathering, Saturday edition of Tech at Night. I did want to make sure we all read about this poll by Hart Research Associates which shows over 75% of likely voters (MoE should be about 3.4 for a sample of 800) saying that the Internet works. Further, support for regulating the Internet is trailing badly at 51 against to 37 for, which means per my handy analysis tool I wrote myself for Unlikely Voter, there’s only a 1% chance per this poll that likely voters actually favor regulating the Internet. This poll is a clear and convincing rejection of the entire FCC/Free Press agenda. Hello! 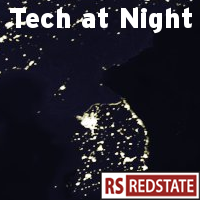 As it crosses midnight here in California, I apologize for the lateness but do return with yet another installment of Tech at Night. Still don’t believe the socialist pushes at the FCC are driven in part by a desire to get free stuff? Take a look at the ITU Broadband Plan for the whole world, what with its insistence that governments must build Internet infrastructure, which of course would result in greater state ownership of the Internet. Ars Technica points out also that the ITU claims that state Internet development will end poverty and hunger. Talk about socialist utopian thought! And we’re supposed to let these types get more power over the Internet with magical thinking like this? I skipped Tech at Night on Friday because I was in Austin for the Red State Gathering 2010, but I’m back now, so here we go. We start off with what would have been the lead story on Friday, too: Net Neutrality hero and all around socialist gasbag Al Franken is now under a cloud of suspicion for ethics violations, violating Senate rules to spend money inappropriately on Net Neutrality advocacy, as well as using his role as Senator to raise money for private groups. He’s crooked enough, he’s dishonest enough, and doggone it, people pay him. I’ve worn myself out tonight making last minute preparations for my trip out to Austin for the RedState Gathering this weekend, so this will be brief. Additionally, Tech at Night will not appear on Friday because I will be in Austin and away from Safari, whose great RSS reader is the most important tool I use to complete my Tech at Night research. First off, the Google backlash is well underway. The firm seems to operate under the assumption that there will be no serious objections from the technical community to whatever they do, because of that “Don’t be evil” mumbo jumbo. But when articles like this at IT World show up with no purpose but to question the attitude displayed by Google and CEO Eric Schmidt, it’s time for a new plan. 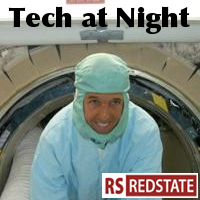 Yesterday at the Daily Caller we found out why John Kerry was such a flip-flopper during his Presidential run. The reason is that he just can’t help it. He even flips around when he’s not running for anything. In 1998 he wrote a letter to the FCC explaining that the Telecommunications Act 1996 forbids the FCC to do the very same deem and pass Title II Reclassification that the FCC is talking about now… a move that John Kerry now supports. So all that time we thought he was flip-flopping to become President we were wrong. He does even when nobody’s looking! If character is what you are in the dark, then we now know all about John Kerry’s character right now. Let’s start with a widely reported but badly reported story: DNSSEC. This is a framework for the Domain Name System (the framework for translating from hostnames such as www.redstate.com to IP addresses, which are the actual addresses used on the Internet). The system is akin to SSL for domains. Verisign will manage it for the Commerce Department and create a single “Root Key” which is then used to create certificates for domains, which will then be used to make sure your a domain’s DNS records are legitimate. In my estimation, it’s just a big boondoggle for [Verisign] to get more customers. The vast majority of domains won’t be able to be secured by it, because Verisign is going to have a monopoly and will charge accordingly. This will only affect big businesses transacting large amounts of money, and they’re already secured against DNS-based attacks. If they’re smart they are, anyway. What DNSSEC does that is bad, however, is create a new point of failure for the Internet, because there are 7 key holders which control escrowed access to the root key. If 3 of them lose the keys, the entire system will have to be re-keyed at expense and inconvenience to all, as pointed out by George Ou. We start this week with the shutdown of Blogetry.com. I’ve been assured this is a very disturbing thing that should concern me greatly, but I’m not so sure. Look: when your free service has become a nest of sites conspiring to distribute copyrighted works, you should expect things like this. Do your homework. Don’t be the failed state on the Internet. Don’t host your site on services that act that way, either.